Version 1.7.5 Click to Register this Product Now! Version 6.9.9.0 Click to Register this Product Now! Version 5.0.1.0 Click to Register this Product Now! AudioRetoucher is an audio effect processor that changes the pitch and tempo of an audio files. The sound of an instrument or voice might be modified slightly, to make a vocalist or instrumentalist's job easier in dealing with difficult keys. Version 7.16 Click to Register this Product Now! Version 4.80 Click to Register this Product Now! Version 4.50 Click to Register this Product Now! Version 5.80 Click to Register this Product Now! Version 7.00a Click to Register this Product Now! MP3 Audio Converter is an useful tool to convert up to 25 audio formats MP3, M4A, WMA, WAV, OGG, AAC, MP4, AC3, FLAC, APE. Convert MP3 to WAV, WMA to WAV, MP3 to WMA, WAV to WMA, M4A to MP3, AAC to MP3, MP4 to MP3. Support Batch & Folder conversion. Version 1.89 Click to Register this Product Now! 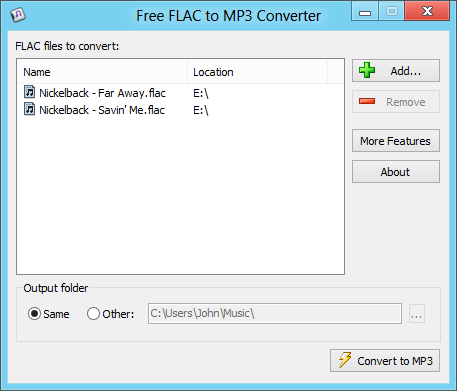 Cool Mp3 Converter is a fast and easy-to-use tool for converting batches of MP3 or WMA files into wav format and back. 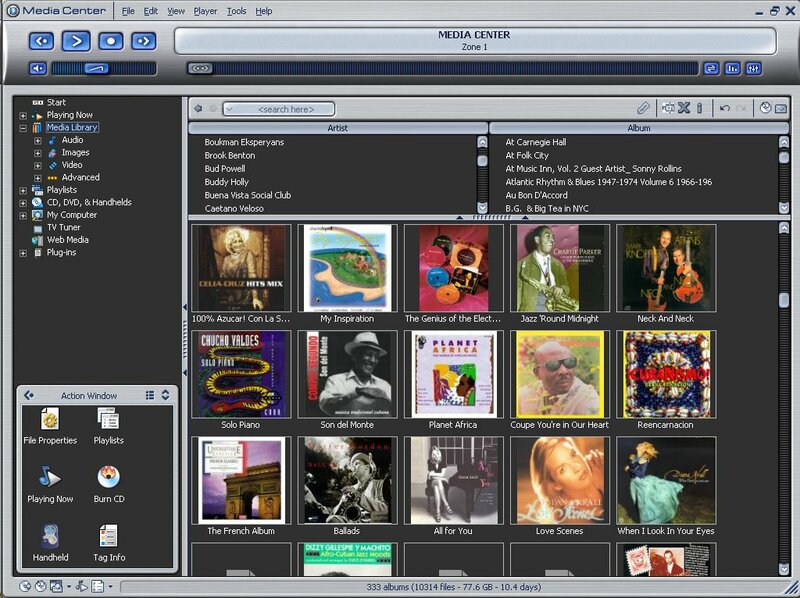 It converts MP3 or WMA files to Wav format forcreating custom CD's and converts Wav files to MP3 or WMA for smaller size. Empathy is a virtual touchscreen jukebox. 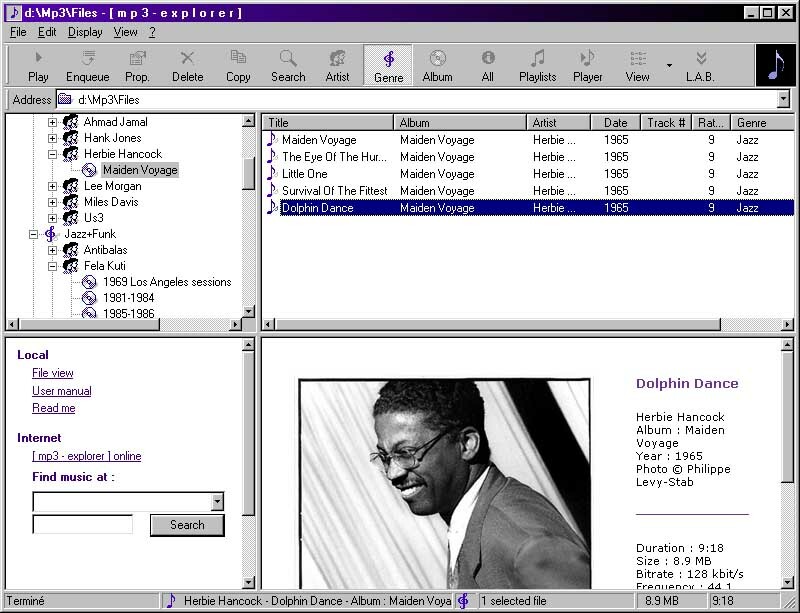 It allows you to extract your audio CDs to MP3 format, managing them as complete albums (along with accompanying CD artwork). Version 3.030 Click to Register this Product Now! Version 4.3.1057 Click to Register this Product Now! Version 3.3.10 Click to Register this Product Now! 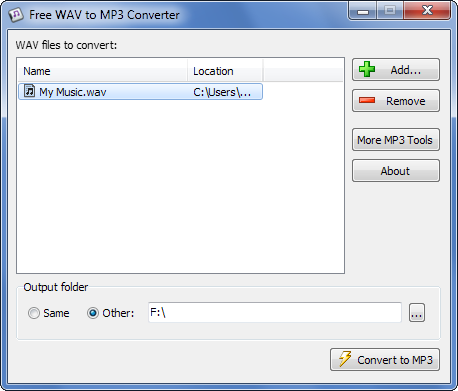 Free WAV to MP3 Converter offers an easy way to convert your WAV files to MP3. The program works very fast and has a straightforward interface. Just drag and drop WAV files into the application and click the Convert button. Free FLV to MP3 Converter offers an easy way to extract MP3 audio from Flash Video FLV files. The program works very fast and has a straightforward interface. 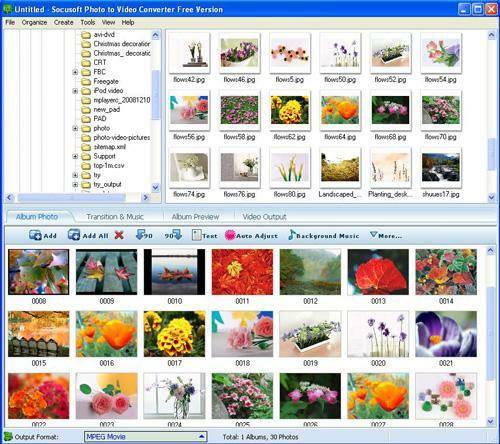 Just drag and drop FLV files into the application and click the Convert button. Version 0.683 Click to Register this Product Now! Version 7.8 Click to Register this Product Now! Version 5.8 Click to Register this Product Now! MP3 Recorder XP allows you easily record sound or voice directly to MP3 format from microphone , line-in or other windows applications, and sorts the recordings by date. 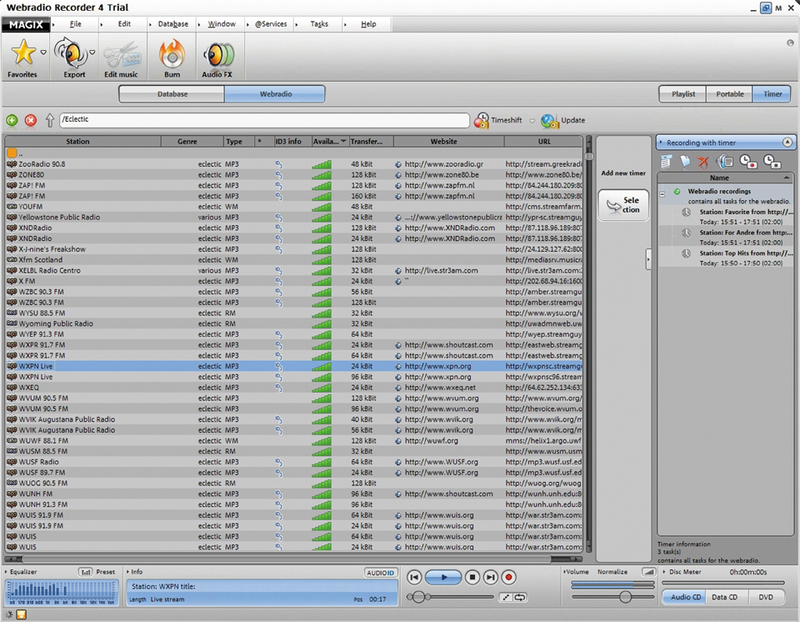 Its tagging system allows you attach notes to resulting audio files. Version 2.08 Click to Register this Product Now! Version 2.91 Click to Register this Product Now! 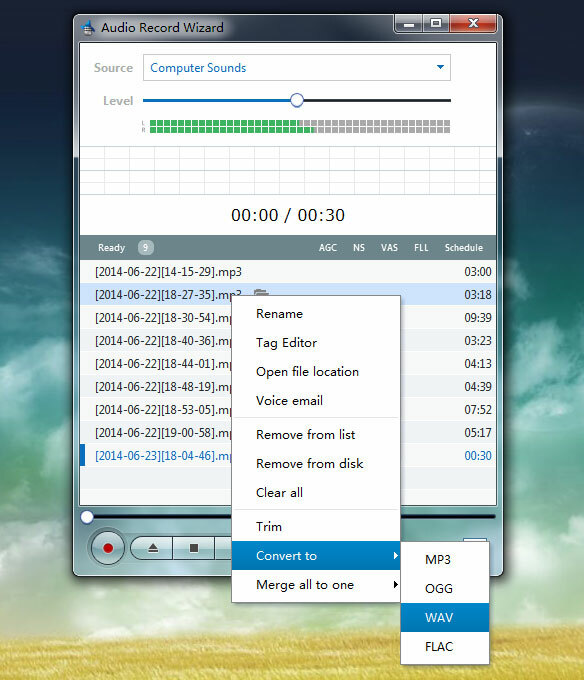 Easy MP3 Recorder can record audio to MP3 or WAV files. It can be used to record almost any sound. Audio captured can be encoded to MP3 on the fly, and no temporary file needed. It also provides ID3 tag editor and audio editor to edit recorded files. AAA Sound Recorder can record any signal played through your sound card into Mp3 and Wav files. Can start and stop recording at any time you set.It integrates the complete set of record volume control for your convenience. The premium package for Internet radio offers you thousands of stations with every genre, with a quality check that works! Search through songs and save them to the hard drive, burn them, or load them onto your MP3 player all with a single click! Version 3.0.2 Click to Register this Product Now! Version 2.1.5 Click to Register this Product Now! WinGramo for VOIP is an advanced tool that allows you to easily record, play, store and convert voice communications held over the Internet.It works in conjunction with Skype (and with other VoIP applications) for recording calls. Version 3.3.2.8 Click to Register this Product Now! MP4 to MP3 Converter is perfect convert MP4 to MP3 software for convert video and audio files to MP3, like convert MP4 to MP3, MPEG to MP3, AVI to MP3, WMV to MP3, WMA to MP3, WAV to MP3, etc. Free download the MP4 to MP3 Converter now. Version 7.3.7 Click to Register this Product Now! MEDA MP3 Splitter allows you to split MP3 files into smaller pieces MP3 of either equal or custom size. 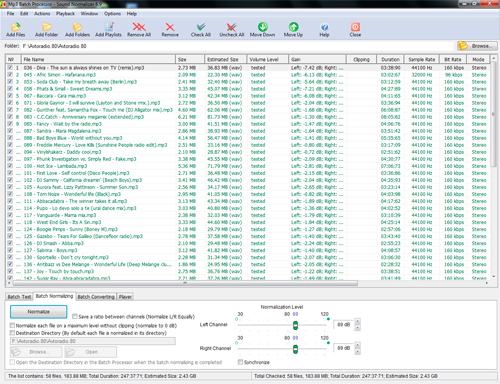 MEDA MP3 Splitter also includes a MP3 merger tool, and can convert MP3 to WAV. Version 1.68 Click to Register this Product Now! Cucusoft iPod Video Converter Suite can convert both DVD media and video file media to iPod video/iPod movie. Version 3.3.5 Click to Register this Product Now! Cut/trim/Merge the music file from i-Tunes aac,aiff,au,flac,mp3,ogg,wav,wma to wav or mp3 to mobile phone ringtone. Group segments into a single file. Recording from microphone with Midi music file. Change the bit rate of the MP3. Audio spectrum. 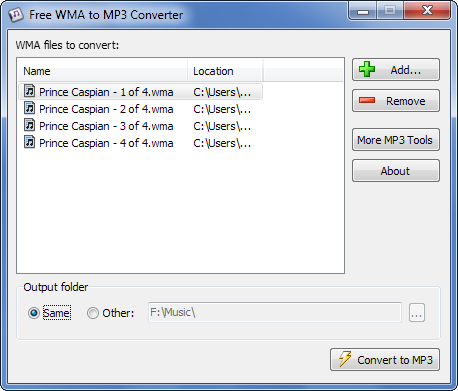 WMV/WMA/MP3 Converter is the tool which can encode your WMV/WMA/MP3 file into MP3 format. You can add two or more media files from your hard-disk driver, and convert them at once. Version 2.4.4 Click to Register this Product Now! Version 1.78 Click to Register this Product Now! All Sound Recorder designed for recording audio from your computer to hard disk file of MP3,WMA,OGG or WAV formats. The software support perfect recording quality with full MP3,WMA,OGG or WAV options supported. Version 1.05 Click to Register this Product Now! 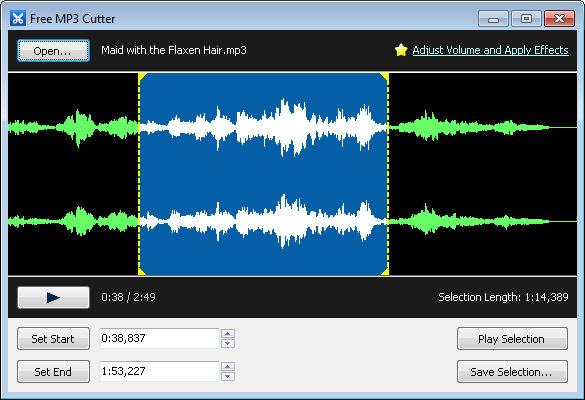 Easy MP3 Splitter is a Powerful software for splitting MP3 files into smaller ones. 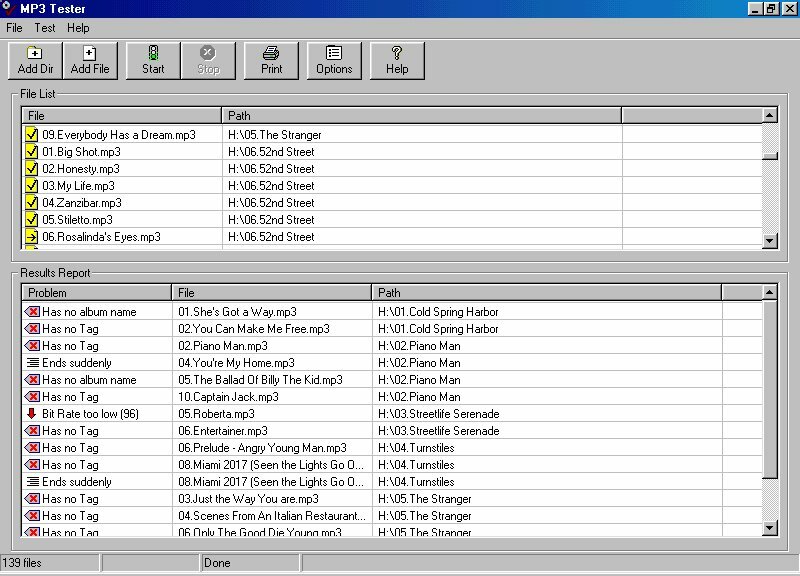 It is a easy tool for creating one or more sections of large MP3 files, such as your favorite radio shows, concerts, trance mixes, etc. 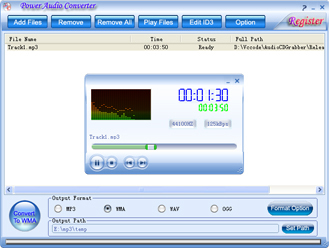 Real RM Converter is a Batch Convert software for Converting Real Audio (rm,ra...) to other formats MP3, WAV on-the-fly. 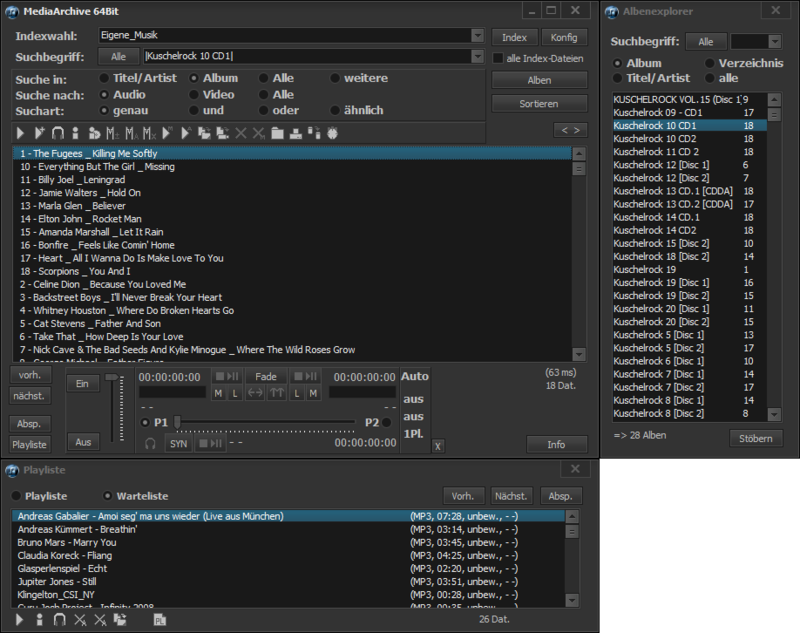 It uses Lame encoder of newest version(3.9.9) that supports full MP3 options with VBR properties. Apollo MPEG to DVD Burner is a user-friendly MPEG/MPG video files to DVD burner software that can convert&join MPEG/MPG/VCD/SVCD video files and burn into DVD��R/RW disc that playable on car or home DVD player. Version 1.53 Click to Register this Product Now! Create an unlimited number of MP3 ringtones for your mobile phone with AudioGizmo Ringtone Creator! 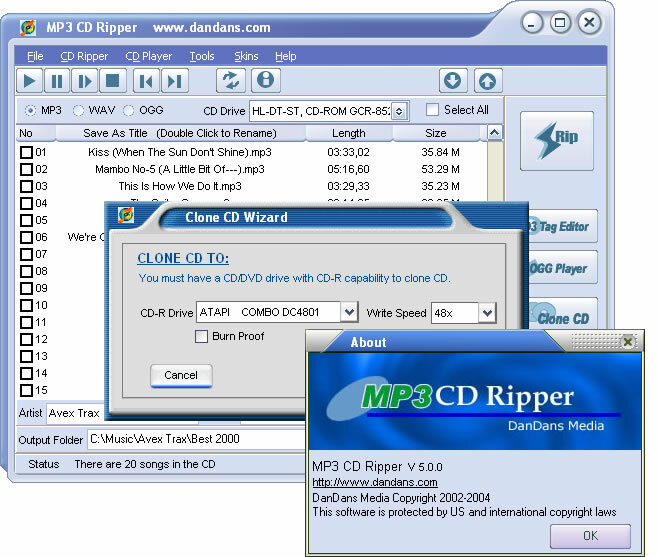 DVD to MP3 Ripper is a powerful and easy-to-use DVD ripping, converting and DVD backup tool. It can convert your DVD audio AC3 to MP3 with high quality. Main features include: high quality of audio with mp3 encoding, audio language stream selection. Version 1.65 Click to Register this Product Now! Version 2.85 Click to Register this Product Now! Version 3.1.2 Click to Register this Product Now! Bingo! DVD Ripper is a DVD converter which can rips DVD to VCD, DVD to DivX, DVD to MPEG, DVD to AVI . That's easily and quickly with excellent image and sound quality. It's a best DVD ripping tool to backup DVD and rip it . 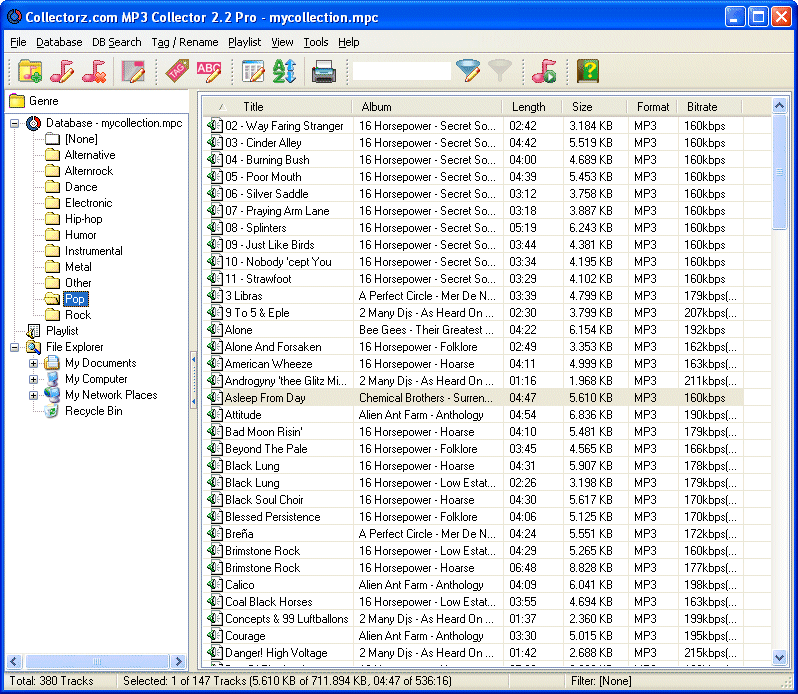 [ mp3 - explorer ] provides a very powerful way to access and play MP3 and WMA files. Calculate extremely accurate BPM counts for any song with this free tool. Version 2.0.11 Click to Register this Product Now! Version 5.0.6 Click to Register this Product Now! 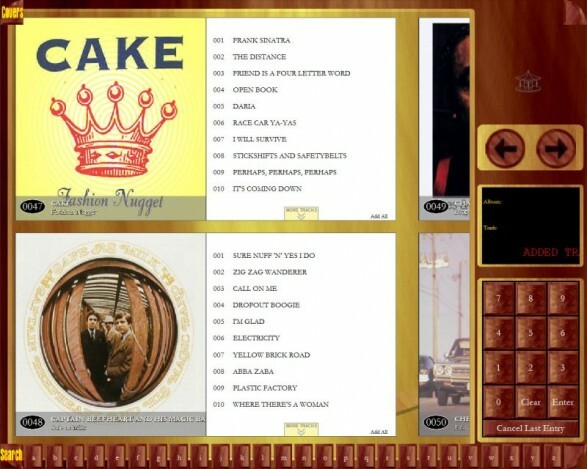 KingLister locates MP3 files and builds play lists fast. Search your song folders for specific song titles, artists, years, or genres. 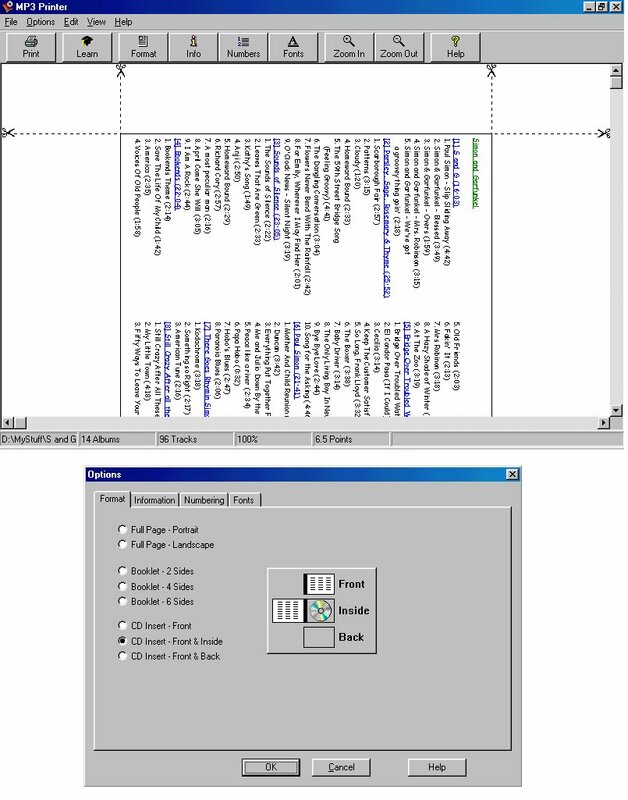 Find partial text matches within titles, or artist's names! Sort on any category. Build folders for MP3 players. 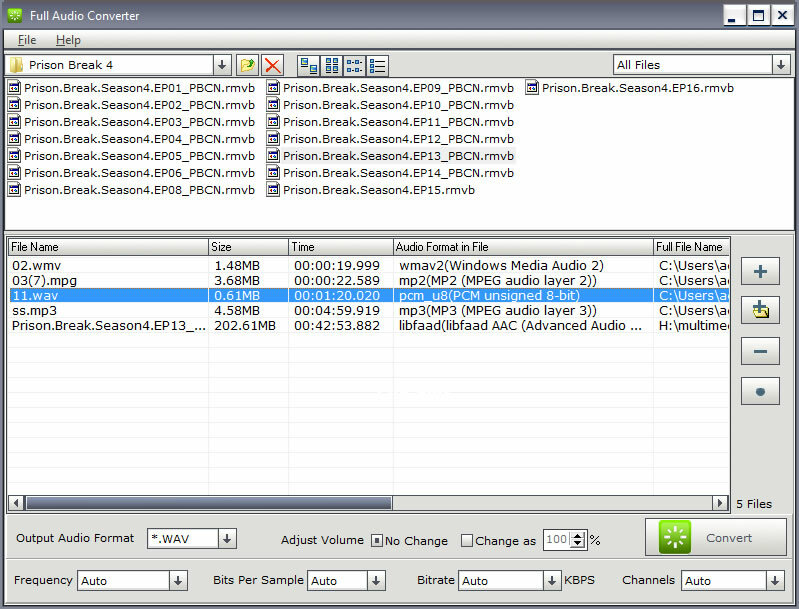 Demo version ECPSoft MP3 Trimmer is designed for fast trimming of MPEG Audio Layer III (mp3) files. Version 1.4.21 Click to Register this Product Now! Abander TagControl is an easy to use and powerful .mp3 .ogg .wma .ape .asf .mpc .aac .flac tag editor with lyrics, album art, CDDB, Allmusic.com support. You can easily organize your music collection, rename music files. Version 2004 Click to Register this Product Now! Version 2.1.4 Click to Register this Product Now! Free watch any region DVD disc without changing DVD drive region setting. As we known, DVD drive has region setting limitation. Do you have many different region DVD Disc? Use this utility to help you. Support common DVD Player PowerDVD/WinDVD etc. Full-featured Mp3 player with the ability to play, pause, stop, and seek forward/backward arbitrarily. Also featured is the ability to control the system volume. For mor information, visit http://activex.moonvalley.com. Version 1.2.9.2 Click to Register this Product Now! Version 2.4.3 Click to Register this Product Now! Version V5.11 Click to Register this Product Now! Advanced MP3 Converter Support fast MP3 to WMA 9(VBR),OGG direct converting, also Support MP3 to MP3 resample, no temporary wav files involved.